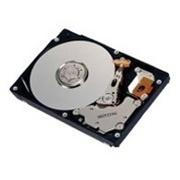 Fujitsu MAY2073RC 73GB 10000RPM SAS 2.5-Inch Hard Drive. Fujitsu Technician Tested Pulls with 1 Year Yobitech Warranty. Ready to ship. Fujitsu's new Dual ported Rohs compliant MAY series Enterprise drives represent the latest small form factor (SFF) technology with a performance and reliability combination tailor made for high-end mission critical applications. With a 10K RPM spin-speed, 16MB buffer and a maximum 73GB capacity , performance is not compromised by the physical size. Offering lower power consumption, improved acoustics, redundant data paths and leveraged high maturity technology from it's proven 3.5-inch big brother, the MAY leads the way in HDD design. Additionally, a Serial Attached SCSI (SAS) interface offers a logical evolution from parallel SCSI with all the benefits of hot pluggability, scalability (using SMP - Serial Management Protocol and Expander technology), simplified cabling (less conductors,less space,more air flow), a common infrastructure with SATA (using STP- Serial ATA Tunnelled Protocol) and full duplex communications. The future is 2.5-inch!